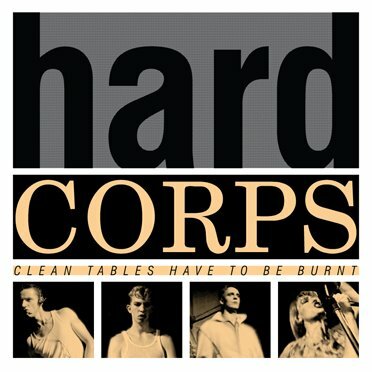 Minimal Wave Records will release a full length LP release entitled 'Clean Tables Have To Be Burnt' by UK legends Hard Corps. This the first time ever that rare unreleased versions of Hard Corps tracks from the 1980s have been remastered and are being made available. The album comes as a 180 gram vinyl pressing limited to 999 copies with double sided innersleeve featuring a beautiful group shot and all of Regine’s lyrics. The album will be available in early April. More Hard Corps news to come in March. Stay tuned for that.